The HTC Sensation 4G manual or user guide for T-Mobile has been published and can download directly at HTC official website. The HTC Sensation 4G manual comes in PDF format with fle size is 3.67 MB consisting of 207 pages. In the HTC Sensation 4G user guide you can find many information and instructions for example learn phone basic operatings guide, personalizing, phone calls guide, messaging setting, using applications like web browser, camera, video, listen music, photos, and HTC services. Then in the HTC Sensation user manual also provide reference information about using social networking, using email, maps, android market, keyboard, using internet, connections settings, using bluetooth, security settings, phone settings guide, update and reset tutorial, and more. The HTC Sensation 4G is smartphone that supported by 1.2 GHz Dual core Qualcomm Snapdragon Processor and applied Android Gingerbread Operating System. This phone measuring 5 (L) x 2.6 (W) x 0.44 (T) with weight is 5.2 ounces. It has 4.3” (diagonal) qHD(540×960 pixels) display. This smartphone work on under GSM/EDGE network with frequency 850/900/1800/1900 MHz. 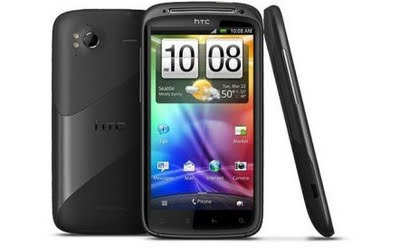 The HTC Sensation 4G also equipped with 8 megapixel autofocus camera with Dual LED flash Camera features. For connectivity used Bluetooth 3.0, Wi-Fi: 802.11 b/g/n, 3.5 mm audio jack. Other specs and features such as powered by 1520mAh LiIon Battery, SDHC capable microSDcard slot, 8GB card include, and GPS/AGPS support. Get and download the HTC Sensation 4G manual user guide, settings, update and reset here.